A win – win situation: Cost optimisation on both sides! Silo management for grain mills and their customers! In Germany alone there are more than 260 large flour mills, in Asia the grain market is significantly greater and a very important industry. All around the world the situation is similar: Well-planned routes and carefully calculated stock levels are vital to achieve max cost optimisation during the material delivery process, however these are more than often jeopardised by daily reality. Bakeries, the customers of the mills, often place their orders to late and the mills are faced with having to supply material immediately in order to avoid production stop at the bakeries. This leads to unnecessary logistics costs caused by multiple deliveries and ultimately to an increase in costs for sides, the supplier and the customer. This is obviously in no one’s interest. But why are we confronted with these “fire-fighting” situations and how can they be avoided? Even bakeries with multiple storage silos often do not have an automated level monitoring system to control their inventory levels. Therefore these stocks have to be checked manually on a regular basis and an order has to be triggered to the flour supplier on time. Due to unforeseen fluctuations in demand or simply by not having verified the stock levels sudden emergencies arise that lead to unplanned extra tours for the mill. Just the installation of sensors for level monitoring in the silos of the bakeries would bring a partial improvement. In this context often the willingness to invest is lacking because “it´s working as it is” regardless of the fact that it is a very costly and inefficient way to do it. But the ideal solution would be that the mills take responsibility of the level monitoring centrally for their customers and offer this as a special service thus optimising their own material and delivery disposition and at the same time reducing the administrative effort involved. Of course the cost question arises immediately – who should pay?! Or maybe does it pay for itself? In fact, closer analysis shows that the mill’s investment would amortise itself in a relatively short time due to the cost savings brought about by the optimised supply chain process. On each silo of the bakery the maintenance-free lot system Nivobob® 4000 is fitted for level monitoring. For easy mounting, just a standard 1.5 inch threaded socket in the silo roof is necessary. At the bakeries the level signals are bundled by the UWT software Nivotec® combined with a Wago WebController and the information received is passed to the Internet using an Ethernet connection via a routed IP address. The mill can securely access this information (password-protected) via any internet browser at any time of the day over a pre-defined IP address). It is possible to include any number of other customers in the visualisation system – without additional hardware or costs for the mill. If the priority is to keep installation at the bakeries to a minimum a GSM modem can be used to remotely access the data. In this case for the data transmission no Ethernet connection is required, but only a SIM card in the WAGO to pass the modem. This modem collects all level signals and sends them in an encrypted log via mobile phone over the Internet to the appropriate controller in the mill. As only small amounts of data are being sent is a low priced SIM contract sufficient for this purpose. The current silo levels can be displayed at the mill control center using the UWT Nivotec® visualisation software which can be accessed via the Internet browser on any Ethernet PC. The controller can see the real-time status of the silos because the visualisation controller is directly integrated into the Ethernet system. The benefit of the whole system is the simplification of the material disposition processes leading to a reduction of costs for all parties involved. Control cabinets only have to be set-up once; afterwards no additional IT support is necessary. The mill is able to hold the correct material in stock according to the customer’s material requirements and can optimise the logistical routes and schedules. Simply the availability of the required information which can avoid the need for express deliveries or empty runs can reduce the administrative effort dramatically. On the customer side, at the bakery, the task of manually checking the material level within the storage silos is eliminated and production bottlenecks due to a lack of material are history. The material flow now follows a standard process with much greater planning security: Last but not least it naturally leads to a more harmonious working relationship and increased satisfaction on both sides which ultimately mean a stronger partnership between customer and supplier. VEGA has re-engineered this technology, bringing it up to date and developing a sensor for extreme situations: the vibrating level switch VEGASWING 66. Why these new sensors ‘feel comfortable’ in temperatures up to 450 °C and pressures up to 160 bar is explained to us in an interview with Holger Sack, Head of Product Management at VEGA. 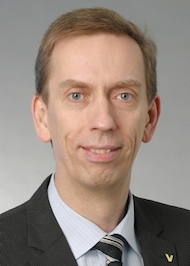 Holger Sack is head of product management at VEGA Grieshaber KG in Schiltach. After completing his engineering studies, he moved from Berlin to the Black Forest in 1991 to collaborate in the development of sensors for non-contact level measurement at VEGA. In 2000 he became product manager for radar, since 2009 he has been head of product management. His areas of responsibility, shared by his team of 11 product managers, are supporting product development and overseeing the worldwide marketing of our instrumentation. The term ‘limit switch’ appears rather infrequently in technical texts. Even my Google search was not very successful for that term. Why? Holger Sack: Today, the old, ‘tried and tested’ analogue limit switches with potentiometer adjustment etc. are gradually being replaced by digital technology. I think that’s why these devices are now more commonly called ‘point level sensors.’ Even in the English language, you’ll more often hear people talking about ‘point level measurement’, i.e. detection of a substance at a specific point. I suppose ‘point level’ has prevailed over ‘limit level’ for that reason. We’ve found that point level measurement is indeed very closely related to level measurement. That is very likely the reason why ‘level’ is used in some descriptions as a synonym for ‘point level.’ To what extent are the two technologies different, and what are their similarities? Holger Sack: Level measurement is used to describe continuous measurement of a changing level, whereas point level is used to indicate a discrete condition, i.e. the existence of the level at a certain point. To clarify, ‘Level’ means the continuous measurement of contents from empty to full, with the values being output in percent, volume or other units of contents. ‘Point level’, on the other hand, means a discrete on/off signal given when a product has reached a significant level in a vessel. Continuous or discrete – can the two areas of applications be clearly separated from one another? Holger Sack: No, they can’t. You can find both level and point level sensors everywhere. Even combined in one application, depending on the customer requirement. 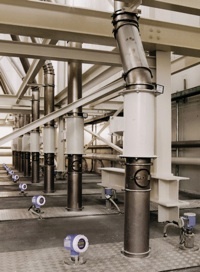 Usually, when both sensor types are installed, it is to increase safety – for example in the chemical industry. Does the simpler technology behind point level switches mean that they are cheaper than continuous level sensors? Holger Sack: Roughly speaking, yes. Because, continuous level sensors are more complex in structure and sometimes also in terms of technology. But this need not always be the case. You see, with regard to the process, point level sensors have to meet the same requirements as continuous level sensors. Level switches just carry out a ‘simpler evaluation’ of level data. That’s why the price of a level switch, or point level sensor, is usually less than that of a continuous level sensor by a certain factor. In point level detection, a switching command starts or stops the filling equipment. How do you monitor the process, i.e. ensure that the sensing element and the electronics are working properly? Holger Sack: On the one hand, the individual sensor has to be considered, and on the other, the entire measurement chain. In the modern sensors, microprocessor technology enables numerous functions that monitor the electronics as well as the sensing element during operation. A high percentage of faults in the electronics as well as in the sensing element, such as build-up or corrosion, can be detected and reported. Looking at the entire measurement chain, we see that information on tank contents is forwarded to the control system or special actuators through cables or bus systems. These systems are responsible for ensuring that valves, pumps, etc. operate at the right time. Until now, all devices in a system were analysed individually from safety-engineering standpoint. But this has changed. Today, engineers look at the entire measurement chain, that is, from the sensor to the transmission of measured values to the actuating components (valves, pumps, etc.). This ultimately ensures that the switch-off mechanism in its entirety works, preventing overfilling or dry running of pumps. When it comes to safety, a lot has been done in recent years. Has level switch technology also been made better, safer? Holger Sack: As I said earlier, the basic technology is very old. People built level switches long before they started building continuous level measuring instruments. For that reason there are still a lot of old but proven technologies in service, such as floats or paddle switches. The capacitive measuring principle is also a very old, tried-and-true measuring method, albeit with a few limitations when compared to the vibration principle. Next to microwave/radar, vibration is currently the most universal measuring principle that we offer. We at VEGA have been focusing on electronic measuring systems for years, because they have significant advantages in terms of maintenance and means Life Cycle Costs. That’s why, although they are also a little more expensive to produce and to buy, we believe that this extra outlay pays off over a service life of 15 years or more. Does this mean that your new vibrating level switch VEGASWING 66 is just old, well-known technology in a new guise? Holger Sack: No, not in this regard. Here we are breaking new ground with our new, patented technology. The backstory is that this instrument can be used in temperature and pressure ranges where previously only a few technologies could be deployed, and certainly not the tuning fork measuring principle. The basis of this technology is a tuning fork that is electrically excited and made to vibrate over a few micrometres range. Until now, it was not possible to use vibration technology in temperatures above 250 °C. With our VEGASWING 66, applications up to 450 °C are now possible; not only that, it is also capable of temperatures as low as -195 °C. We are the only company that can offer this technology for use in such temperatures and in pressures from -1 to 160 bar. How did you make it possible to use the switch in the extreme temperatures and pressures commonly found in the process industry? Holger Sack: For one thing, we replaced the previously used piezoelectric drive with a special solenoid that we developed ourselves. This solenoid now drives the tuning fork and is able to withstand the high temperatures. Another point is, we now use ceramic materials and have designed the electrical connections made so secure that they operate reliably even at 450° C. And last but not least, we achieved the high pressure resistance through the mechanical stability of robust materials that withstand pressures up to 160 bar. For point level detection, the user can choose between different measuring principles. How can the customer be sure he gets the right one, the one he really needs for his application? Holger Sack: It is always important that the customer tells us in advance what his requirements and application conditions are. Because, with this information we can recommend the right measuring principle. However, we are confronted again and again with new challenges that challenge the limits of our technology – because our customers are not standing still, they’re continuously developing their processes. In most cases it’s about new combinations of pressure, temperature and chemicals. That’s why we’re constantly developing and improving our products and measuring principles, optimising them to meet the latest process requirements. Current problems are, for example, difficult product properties or foaming. To what extent do these factors influence the quality of the measuring results? Holger Sack: On VEGASWING 66, for example, we can detect build-up, and we can also detect whether the tuning fork is corroded or broken. This is possible both due to the measuring principle itself, as well as monitoring of the natural resonant frequency. Build up changes the amplitude of the oscillation, which allows us to use the available processor technology to electronically evaluate this change and notify the customer that a problem exists. Such ‘anticipatory’ diagnostic capabilities are being demanded by customers more and more. In addition to diagnostic capabilities and safety, users nowadays are calling for the simplest possible instrument handling. Do your level switches also follow the motto of the plics platform, ‘simpler is better’? Holger Sack: Absolutely. The whole idea of the plics® concept is to make level and pressure measurement as simple as possible for each and every customer. The customer doesn’t have to be an instrument engineer to be able to use our instruments. His job is to control the process and keep it running smoothly – by asking questions about his process and its requirements, we are able to recommend the instrument that is best suited for the application. VEGASWING 66 is also designed according to the modular instrument platform plics. This means that the customer can combine different components as required. But plics is more than that: it’s a system designed to make handling easier for the customer throughout the entire life cycle of the instrument. Another important point is delivery time. We deliver 80 percent of our products are despatched within two to four working days – previously it took 6 to 10 weeks. The installation and setup are also greatly simplified by the modular system because, if the customer already knows how to operate one VEGA instrument, he can operate all the others just as well. Installation, adjustment and connection are completely standardized, this applies to 80 percent of our instruments. If servicing is required, our employees look after customers personally and make sure the job gets done quickly and without any fuss – because, every servicing event also provides us with valuable feedback on the product and a chance to improve it and ourselves. Smart solution with frequency sweep technology – A level switch for all media! Fill levels must be recognized in countless storage, buffer and holding tanks in the process industry, food industry, and even in wind power plants or other fields. The level switches used are normally as different as the various media being monitored. With the CleverLevel LBFS/LFFS switch, Baumer has developed a true all-rounder that uses frequency sweep technology. This method capitalizes on the fact that every material, regardless of its consistency, has a dielectric constant specific to that medium. This makes the new level switch suitable for practically all media, including liquids, granulates and even electrostatic media. At the same time, it is unaffected by adhesive substances or foams that may lead to switching errors with other technologies. Furthermore, it can distinguish between different media. This makes the CleverLevel more than merely a replacement for the traditional vibrating fork used in level control. Configuration is possible using Teach-in. It is more convenient with Flex Programmer software, which enables visualization at the same time. The displayed information can be communicated to a higher-level controller if required and interpreted there in accordance with the operation phase. Level detection is of great importance in the process industry. They monitor maximum and minimum values of material fill levels in tanks or as protection against overflow or dry operation. A number of limit switches are available, based on different technologies. The specific application determines the selection, because until now it was not possible to cover all applications with one level switch. Things are different now. A new level switch that uses frequency sweep technology now proves to be a practice-oriented all-rounder for almost every conceivable medium. The demands on level switches can vary considerably, depending upon application. There are therefore numerous application-specific factors to consider, such as foam formation, aggressiveness or flammability of the media to be detected, adhesive substances, unfavorable installation conditions, the speed of the filling process and, naturally, the accuracy required. The widely used vibrating forks do not necessarily offer the best conditions. Some have quite large components that extend far into the material being measured. Measuring errors can arise, since high viscosity materials tend to stick to these forks. Coarse granular media can easily become lodged between the forks and also cause measuring errors. The forks and difficult to clean and liquid and powder substances require different versions. It was impossible to cover all applications with one level switch, until now. The CleverLevel series of level switches use frequency sweep technology and can reliably detect extremely different media. The readings are not affected by adhesive substances or foam. Now the Baumer CleverLevel series of level switches fill this gap. They are based on frequency sweep technology. The sensor analyses the resonance frequency of the oscillating circuit affected by the dielectric constant of the medium below the sensor tip. This allows adhesive substance on the sensor tip or foam to be suppressed. High sensitivity over a large measurement range for dielectric constants from 1.5 to over 100 enables limit detection for all sorts of powders, granulates and liquids. And setup is easy. The default setting already recognizes most media. The Teach-in function helps in case of doubt and more complex configuration becomes child’s play with the FlexProgrammer software, because the user can practically “see” the same thing as the sensor. The switching range can be adjusted as required to ignore foams in maximum or minimum monitoring, for example. The same applies if the sensor needs to ignore adhesive substances. Tanks with liquid chocolate are a typical example. Even when empty, the sensor and container walls are coated with chocolate. When configured accordingly, the CleverLevel still switches only when the tank is really full or empty. Electrostatic adhesion, which must frequently be taken into account in the detection of powdery substances, can also be ignored by appropriate definition of the switching range. The simple, graphic configuration software really adds to the user-friendliness. For example, it is possible to observe the sensor’s internal signal while the thresholds are adjusted by mouse click within the graphic representation. This not only makes the configuration method intuitive and thus easily learned, but also considerably improves the reliability of the results, because they can be checked graphically at any time. This is also possible with extended setting methods that take medium conductivity into account, even if two media have the same dielectric constant. Supported by the FlexProgrammer, the CleverLevel series can perform even complex filling level detection tasks. Even different media in the same process line or process tank can be detected in order to differentiate the end product. For example, different types of fish sauce, different beers, etc. For this purpose a measuring signal can be output so that different dielectric constants through different media, foams or adhesive substances can be differentiated in the control. This makes it possible to detect if a medium is polluted with another medium, e.g. oil polluted with water. The information that is visualized with the help of software can also be transferred to the higher-level controller. It can then evaluate the measuring signal. It ultimately knows if the position of the switching point shifts because another medium is in the tank during flushing, for example. Dirt in the tank can also be detected in this way and cleaning can be scheduled accordingly. 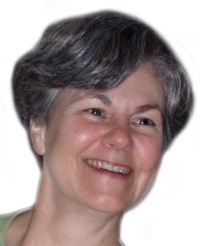 Today, many application areas are dependent upon this information. Wind power plants are a typical example of this, because “spontaneous” maintenance of lubricant containers is extremely costly and can only be carried out at unjustifiable expense. The same applies to locomotives, ships or mobile implements in agriculture, for example. Using the Flex Programmer software, the switching range can be adjusted as required to ignore foam during maximum or minimum monitoring. A further strength of the level-monitoring sensor is particularly evident in mobile tanks. It normally works with a response time of 0.1 sec., which permits high-speed filling processes and the precise maintenance of filling levels. However, this becomes a disadvantage if the tank is in motion and the contents slosh around. In such cases, a switching delay of up to 10 sec. can be set to avoid false signals due to tank movement. But the new CleverLevel series offers even more. The level switches can be installed in any position, even in rather inaccessible locations. The LED that signals the switching process is highly visible in all directions. The sensor works silently, compliance with protection class IP67 requirements is standard, and it is suitable for ambient temperatures between -40°C und +200°C. Operation is also unaffected by vibrations. For example, the latter is important if the level switch is placed close to a pump as protection against dry running. The small penetration depth of only 15 mm is also a positive feature in these circumstances. Flow and pressure are hardly affected. In addition, thanks to gap-free installation and the smooth tip, nothing can adhere to the sensor. There are countless areas of application for this fill level sensor all-rounder, such as filling liquid chocolate. In addition to the industrial process connections, there are also versions with EHEDG approval and an ATEX version for Ex areas for applications with stringent hygiene requirements. There are countless application possibilities for this all-rounder level switch. 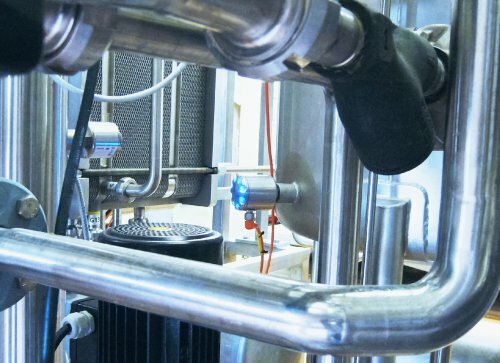 The food and beverage industry can benefit from its possibilities as much as every other industry, from pharmaceuticals, chemicals, petrochemicals, and process engineering all the way to the water supply and wastewater fields. Further areas of application are found in wind power plants, mobile machinery, cereal mills or cleaning facilities and pumping systems. 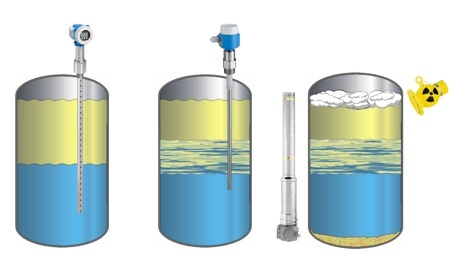 Fill levels must be recognized in countless storage, buffer and holding tanks in the process industry, food industry, and even in wind power plants or other fields. The level switches used are normally as different as the various media being monitored. 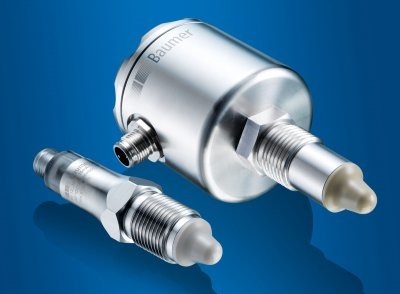 With the CleverLevel LBFS/LFFS switch, Baumer has developed a true all-rounder that uses frequency sweep technology. This method capitalizes on the fact that every material, regardless of its consistency, has a dielectric constant specific to that medium. This makes the new level switch suitable for practically all media, including liquids, granulates and even electrostatic media. At the same time, it is unaffected by adhesive substances or foams that may lead to switching errors with other technologies. Furthermore, it can distinguish between different media. This makes the CleverLevel more than merely a replacement for the traditional vibrating fork used in level control. Configuration is possible using Teach-in. It is more convenient with Flex Programmer software, which enables visualization at the same time. The displayed information can be communicated to a higher-level controller if required and interpreted there in accordance with the operation phase. Figure 1: Level control in a container. The demands on level switches can vary considerably, depending upon application. There are therefore numerous application-specific factors to consider, such as foam formation, aggressiveness or flammability of the media to be detected, adhesive substances, unfavorable installation conditions, the speed of the filling process and, naturally, the accuracy required. The widely used vibrating forks do not necessarily offer the best conditions. Some have quite large components that extend far into the material being measured. Measuring errors can arise, since high viscosity materials tend to stick to these forks. Coarse granular media can easily become lodged between the forks and also cause measuring errors. The forks and difficult to clean and liquid and powder substances require different versions. It was impossible to cover all applications with one level switch, until now. Figure 2: The CleverLevel series of level switches use frequency sweep technology and can reliably detect extremely different media. The readings are not affected by adhesive substances or foam. Figure 3: Supported by the FlexProgrammer, the CleverLevel series can perform even complex filling level detection tasks. Figure 4: Using the Flex Programmer software, the switching range can be adjusted as required to ignore foam during maximum or minimum monitoring. 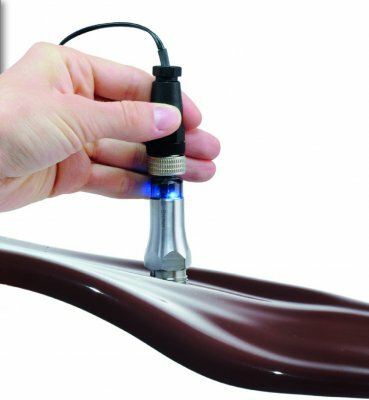 Figure 5: There are countless areas of application for this fill level sensor all-rounder, such as filling liquid chocolate. A large number of physical measuring methods are used today for continuous level measurement of the most diverse product media in the area of liquids and bulk solids. Of course, both plant planning and operating staff would like to have one single method as this would indeed reduce the training requirements and commissioning errors as well as lead to cost savings (e.g. for replacement devices). However, every measuring principle has its strengths and weaknesses. 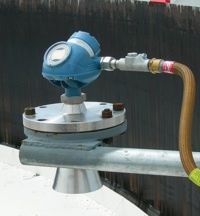 If a level measuring device is to provide a safe and reliable measured value in all operating conditions, the medium properties, possible process effects during the entire operating time and the installation site must be taken into account in addition to the temperature and pressure resistance when selecting the device,. An experienced manufacturer such as Endress+Hauser, who can offer the correct measuring system adapted to the task at hand, may be relied upon as a competent adviser. The examples described below illustrate the requirements of plant planning staff. The use of high-frequency radar measuring devices offers various advantages over ultrasonic waves in level measurement. Free-space radar devices such as the Micropilot M are thus suitable for high temperatures up to 400°C and operate in a vacuum or at pressures up to 160 bar. The Levelflex M guided radar can also be used up to 400°C and 400 bar. Vapour or various gas compositions present in boiling process containers have virtually no impact on the propagation speed of the microwaves up to 200°C and 50 bar at the same time. The physical properties of the transmitted microwave are another advantage of radar measuring technology. The microwave can even radiate through a number of plastic and glass types. The levels in various plastic or glass containers can thus be measured from the outside without mounting a nozzle. The Levelflex M guided radar measuring device is the ideal solution where various application conditions are expected to cause intensive foam generation. This technology is virtually unaffected by foam generation due to its operating frequency of approx. 1 GHz and the fact that the microwave pulses are guided along a rope or rod. If conditions are made even more difficult due to mechanical factors, e.g. in a fast-rotating, multistage agitator container with strong turbulence and intense foam generation at the same time, the solution to level measurement is, as always, pressure or differential pressure measurement. More complex measuring tasks, such interface detection, also require various methods to ensure a reliable measurement that is adapted to the process. Up to three measuring values can be output if the Levelflex M guided radar is used (interface, layer thickness and overall level). The interface can only be determined using capacitance probes. The advantage of these devices is their use for interfaces where emulsification occurs. The reflection signal of a guided radar device is reduced by the emulsion. In this instance, capacitance probes continuously determine an average value from the emulsion that forms. The measuring values can be reliably captured using a gamma measurement if the procedure is made even more challenging due to the formation of multilayer phases. 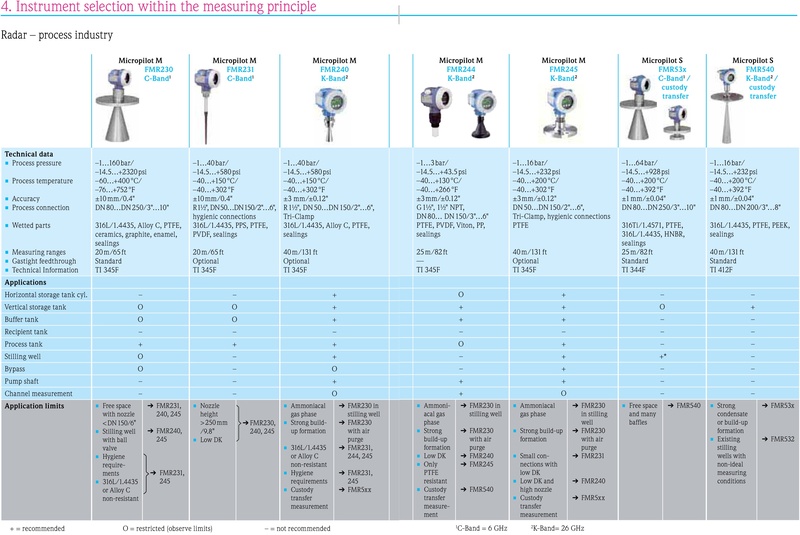 Image 2: Suitable level measuring technology is selected based on the application conditions. From left to right: clear interface, measuring using guided radar; interface with emulsion layer, measuring using capacitance probe; multiple interfaces, measuring using radiometry. In the area of bulk solids, e.g. in the case of free-flowing products such as sugar or quartz sand, cones or funnels can form on the surface of the product when the container is being filled or emptied. They can form either on the entire surface or locally and have the same effect as reflective surfaces so that measuring by means of a diffuse reflection of the transmitted pulses is not physically possible. There is no difference between ultrasonic and free-space radar measuring devices where conditions such as this occur. Guided radar, such as the Levelflex M, has the advantage that it offers a virtually punctate measurement. It is the only proper solution as reflective surfaces or cones and funnels that form during filling and discharge have virtually no impact on the reflection signal. Light, powdery bulk solids such as Aerosil products, polystyrene or wood dust can have very low dielectric constant and density values when the moisture content is low. Radar or ultrasonic devices cannot guarantee reliable measurement in this case. A safe and reliable measurement result can only be guaranteed using a mechanical level system. The mechanical components have mostly been replaced with electronic in the new Silopilot M, which includes state-of-the-art frequency converter control, using a single-phase supply voltage, and a three-phase traction engine. There is no “sound beam” as is the case with ultrasonic technology or an emitting angle as with radar methods. Cross beams do not impact the level system. In addition to the advantages mentioned, this method also provides assurance to the operator from the point of view of managing process influences that may not be anticipated at the planning phase. In extreme cases, applications with intense dust buildup during pneumatic filling of high silos with powdery media, e.g. cement or flour, can result in complete damping of the reflection signal when using ultrasonic measuring devices. With a small number of exceptions, radar level measuring devices are not affected by conditions of this type. They penetrate the dust and are reliable even during filling. Robust measuring technology is required, for example, in applications for quarrying work in the processing of hard stone. The movement of the ultrasonic sensor membrane produces a self-cleaning effect, which means that regular cleaning of the sensor is unnecessary and maintenance work avoided. The ultrasonic measurement is available in a separate version at the same time. In this version, the sensor can be positioned at a distance of up to 300m from the relevant switching unit. This is particularly advantageous in tough application conditions such as stone crushers with strong vibrations. The list of examples of application-specific requirements of measuring technology could go on endlessly. If the choice of level measuring device is based purely on the aim to use a “modern“ measuring method, the user may lose the benefits a traditional solution would offer and possibly even at a lower price; e.g. capacitive measuring technology, ultrasonic or pressure measurement or a mechanical level system. Take advantage of the decades of experience Endress+Hauser offers you in selecting the correct level measuring device for your specific measuring task. Profit from the benefits the company provides as a full-range supplier of all standard measuring methods: the time and cost savings guaranteed by a reliable measurement. 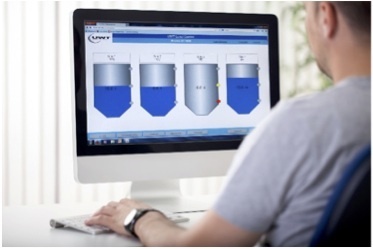 The product selector (image 4) supports the user in planning the various procedures for continuous level measurement in the area of liquids and bulk solids. The contents include an overview of the measuring principles with technical data, the resulting advantages and application limitations. Guided by your application, we recommend the preferred of the various measuring methods based on our experience. You are also provided with installation instructions for the various technologies. The aim of this product selector for “Continuous level measurement in liquids and bulk solids – Selection and engineering guide for the process industry” is to divide into segments the best possible solution – in terms of price and task – that is tailored to the application in question. The emergence of radar has been an important advance in the level measurement field. Radar represents a cost effective, accurate solution that is immune to density and other process fluid changes as well as most vapour space conditions. Radar level measurement systems are available in contacting and non-contacting versions. Contacting is generally a good fit for small spaces, and is an easy replacement of older technology such as displacers and capacitance probes. Non-contacting is generally a better fit for dirty, viscous and/or corrosive applications and when agitators are present. Currently, contacting devices, called guided-wave radar (GWR), are slightly more prevalent primarily because they are capable of providing interface level measurement (e.g. oil and water), as well as standard direct level measurements. But both formats are now widely accepted by the process industry. While GWR works in many conditions and is not dependent on reflecting a signal off a flat surface, some precautions need to be taken with respect to probe choice. Several probe styles are available and the application, length, and mounting restrictions influence their choice. Unless a coax-style probe is used, probes should not be in direct contact with a metallic object, as that will impact the signal. Twin and coaxial probes are susceptible to clogging and build up. 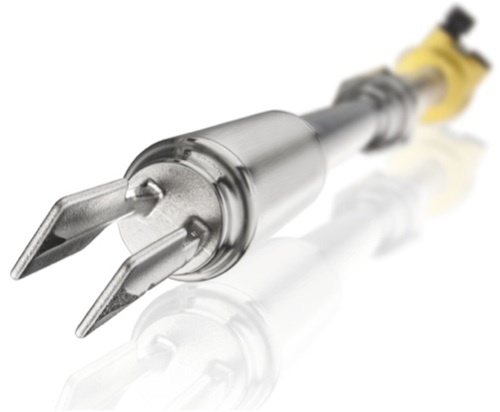 If the application involves liquids that tend to be dirty, sticky or can coat, then only single lead probes should be used. 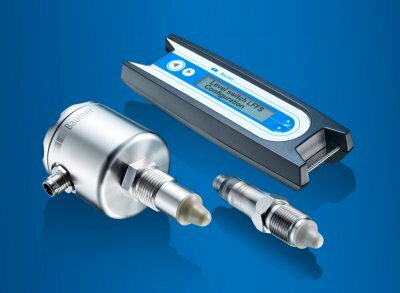 For such applications, devices offering signal quality diagnostics can help the user determine if the probe needs to be cleaned and allows maintenance to be scheduled only when needed. In general, GWR is not suitable for extremely viscous products where fluid flow is minimal. 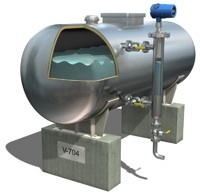 If GWR is used with very viscous fluids and is installed in a bypass chamber, then the chamber should be heat traced and insulated to ensure fluidity. 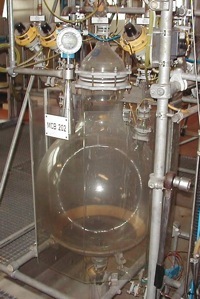 Furthermore, the connections from the tank to the chamber and the chamber’s diameter should be sufficiently large enough to allow good fluid flow. Applications such as asphalt, where heavy coating is likely, are more suitable for non-contacting radar. With non-contacting radar, process conditions and installation constraints all need to be carefully considered. Non-contacting radar requires a clear, unobstructed view of a liquid surface. It is also important that there is an unrestricted mounting nozzle. The measured surface needs to be relatively flat, not slanted. Non-contacting radar gauges can handle agitation, but their success will depend on a combination of the fluid properties and amount of turbulence. Dielectric properties will also impact the measurement. With low dielectric process fluids, much of the radiated energy is lost to the fluid, leaving very little energy to be reflected to the gauge. If the liquid surface is turbulent, whether from agitation, product blending, or splashing, more of the signal is lost. So a combination of low dielectric fluid and turbulence can limit the return signal to a non-contacting radar gauge. To overcome this, bypass pipes including self-contained chambers, or stilling wells can be used to isolate the surface from turbulence. In applications with extreme temperature and pressure conditions, it is important to select a heavy-duty process seal with multiple layers of protection and a flexible assembly to handle the stresses and the forces induced. This is to prevent leakages and ensure the safety and efficiency of your plant. When measuring liquids at very high temperatures in a chamber, it is important to insulate and heat trace the chamber. Fluctuations in temperatures alter the density and volume of the product which then affects the level in the chamber. Maintaining the temperature of dirty liquids such as heavy oil also helps to avoid clogging and sticking within the chamber and enables adequate flow-through. Although radar technology is not affected by density changes, dielectric changes can have an impact. For boiler and feed water systems, where boiling water and high pressure saturated steam vapours are present, the returned signal from the surface becomes weaker as water temperature increases. If this is not taken into account, the saturated steam alters the propagation velocity of the radar signal and generates an error in the level reading proportional to the measured distance. The dynamic vapour compensation method dynamically compensates for the changes in the vapour space dielectric and reduces the incorrect distance caused by varying pressure and or temperature to less than 2%. Level and interface measurement has been successful with GWR but presents a separate set of challenges. The fluid with the lower dielectric must always be on top. The two liquids must have a dielectric difference of around 10, and the upper layer dielectric value must be known. Certain thicknesses of layers are also required for effective measurement to take place. Typical successful applications have a hydrocarbon-based fluid with a dielectric around 2 on the top layer and water-based fluid with a dielectric over 40 at the bottom. Interface measurement applications where the density of the two fluids is very close, or where emulsifier chemicals are used, can produce fairly large emulsion between the products. This may make the interface indistinct. Heavy and thick emulsion layers or liquid layers with similar dielectrics can pose a problem for GWR as the technology requires a distinct dielectric difference to detect the interface. GWR devices have proven to work, but success is difficult to predict. A manual adjustment of the interface threshold on the radar device may be required and a chamber/stilling well can help to minimise the emulsion. In applications with large emulsions, a displacer device, which relies on a buoyancy effect rather than any dielectric value, tracks the midpoint of an emulsion layer and may provide a better solution. However, the great disadvantage of this technology is that it has moving parts that require frequent cleaning and replacement, thereby reducing the reliability of the measurement and incurring greater maintenance costs. Radar often works well in open air or non metallic tank installations. However, in some cases outside disturbances may interfere with the radar signal. Here it is important to select a radar device with high resistance to EMI such as a GWR with a smart galvanic interface. For most open sump and well installations, an ultrasonic meter is a more cost effective solution. However, should vapours be present, then a low frequency radar device is the preferred solution. In critical level applications it is necessary to use a minimum of two level technologies or devices and if the same technology is used, employ a voting scheme. Using technologies less influenced by process conditions, such as radar in combination with vibrating fork switches, is a good step to more accurate and reliable measurements. For radar, most failure modes relate to a loss of signal. High sensitivity normally results in high availabilities. High sensitivity is achieved by increasing the signal to noise ratio using technologies such as Dual Port and Direct Switch Technology. Enhanced echologics – the ability to ignore false echoes – and smart software functions also improve the performance of the radar. Some GWR devices incorporate Reference Pulse Elimination software, which improves measurements in the near zone (high level areas), especially for low reflective targets. However, above a certain level the surface echo may not be visible at all in the waveform, but the echologics are used to monitor the changes in the signal as the level gets close to the top, adding an extra layer of protection. This supports the basic level signal and gives informative warnings that the tank is full, even if the level signal is lost. 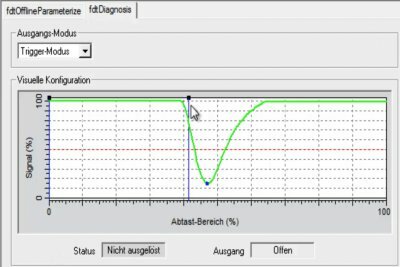 Advanced diagnostics is another step in the right direction for safe measurement. For example, in some GWR devices, Signal Quality Metrics inform the user in real-time if the probe gets coated. This provides the opportunity to schedule proactive maintenance. A good installation is key to success with radar. When installing a new radar device it is usually on an existing nozzle. This nozzle can sometimes be too tall or narrow for the instrument. It is recommended that users try to minimise the height of the nozzle used. Ideally nozzles should be at least two inches, but no more than six inches high for GWR. For non-contacting radar, it is preferable that the end of the antenna extends slightly beyond the nozzle. Longer nozzles can be used with high frequency non-contact radar, but they need to be clear of obstructions and smooth. Another installation problem is when the nozzle is positioned directly over a pipe, baffle or some other obstruction. The obstruction interferes with the radar beam and becomes the level measurement rather than the process medium in the vessel. Similarly if the fluid stream coming into the tank falls into the path of the radar beam or on the probe, then this will impact the reliability of the measurement. As with all instrumentation, radar devices must be configured correctly in accordance with application needs. Special care must be taken when inputting thresholds for the radar signal. These will change depending on the medium being measured. For example, oil appears very different to a radar device than water and therefore requires very different threshold settings. However, today there are good set-up guides and functions such as Measure and Learn, so in most cases configuration is easily achieved in just a few steps. The correct selection and implementation of process level solution is crucial to obtain accurate and reliable measurements. 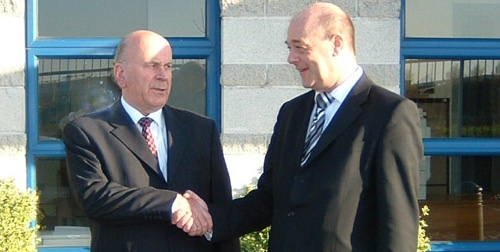 Andy Muschamp of KROHNE (right) congratulates Derek Wharton of DWN (left) on 25 years successful partnership. When it comes to celebrating anniversaries, 25 years is normally associated with Silver. However, in service terms, Silver is perceived as second best and in this case, DWN Instrumentation Ltd have provided nothing short of Gold service to their partners across Ireland according to a release received today. DWN have offices in both Dublin and Cork and have been successfully distributing a broad cross section of KROHNE flow and level instruments for the past 25 years, mainly to the pharmaceutical, dairy and brewing sectors. KROHNE has enjoyed its success in Ireland by servicing the various markets with its level and flow measurement products such as TDR and FMCW radar level meters and Coriolis, electromagnetic, ultrasonic and variable area flowmeters. KROHNE has a reputation as one of the few manufacturers with such a wide and comprehensive product portfolio, offering a one-stop-shop to industries as widespread as oil and gas, water, chemicals, pharmaceuticals, food & beverages, mining and shipping. KROHNE and DWN are also expanding their business due to the growing demand from the Oil and Gas sectors in Ireland by supplying the latest custody transfer metering systems, leveraging the wealth of knowledge and experience KROHNE has in this sector.